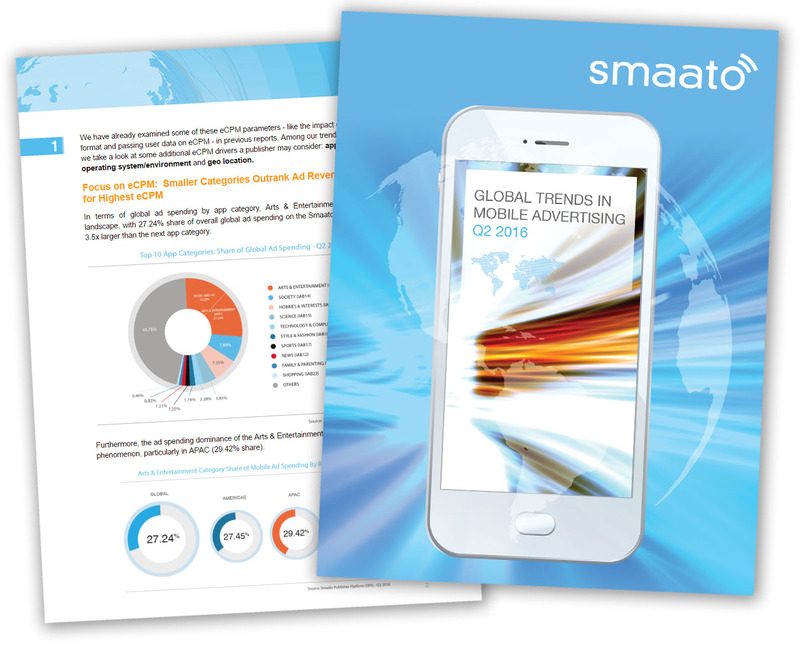 Smaato’s Global Trends in Mobile Advertising report offers key insights into the mobile programmatic advertising landscape worldwide during Q2 2016. Our platform delivers up to 300 billion ad impressions each month, which are auctioned through a network of over 450 demand partners. Please note that this report reflects trends across Smaato’s global base of publishers, advertisers and users during Q2 2016. Each report offers a quarterly snapshot, so specific data and observations may not be comparable with previous reports.